You think Ogenyi Onazi was just about football, well you may be right because the Super Eagles midfielder loves football – American Football too – and is looking forward to the Super Bowl LII. 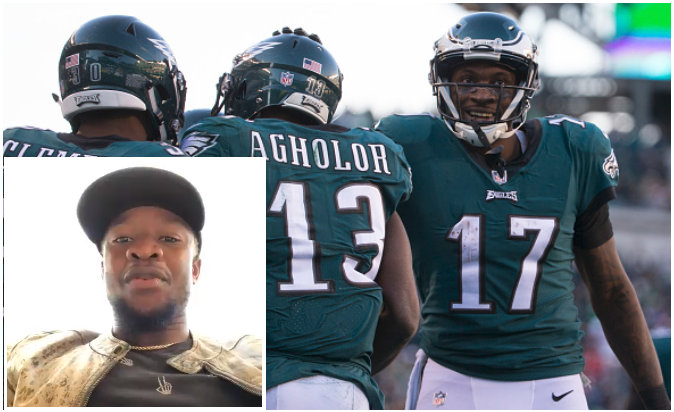 The Nigerian International and Trabzonspor star posted a video on his social media platforms with a good will message to Philadelphia Eagles duo, Jay Ajayi and Nelson Agholor. The Eagles face New England Patriots on Monday in the biggest game of the season and both players of Nigerian descent will be crucial for their team.